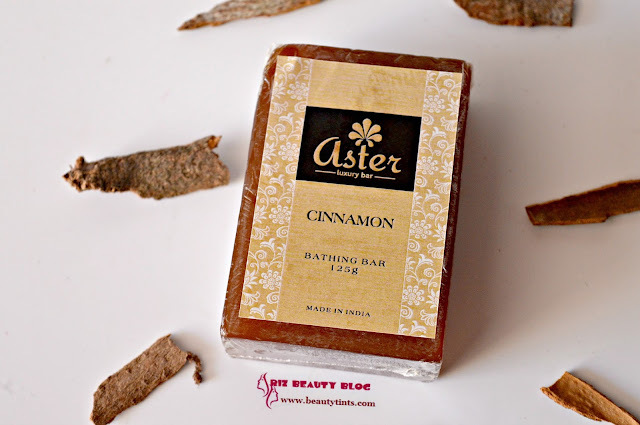 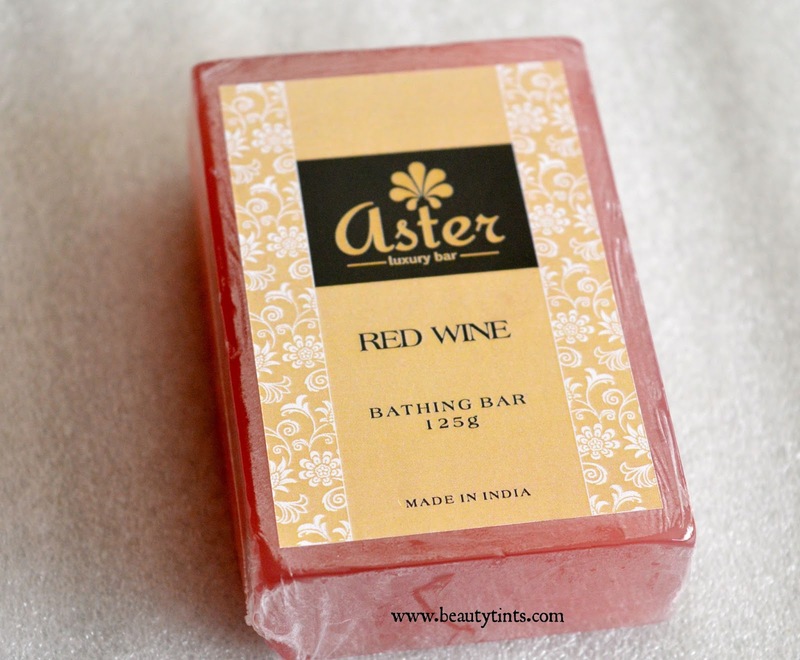 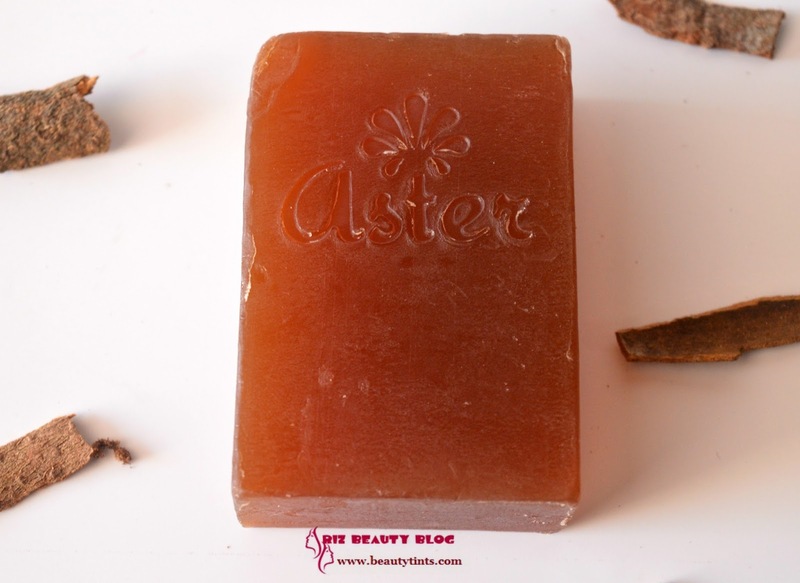 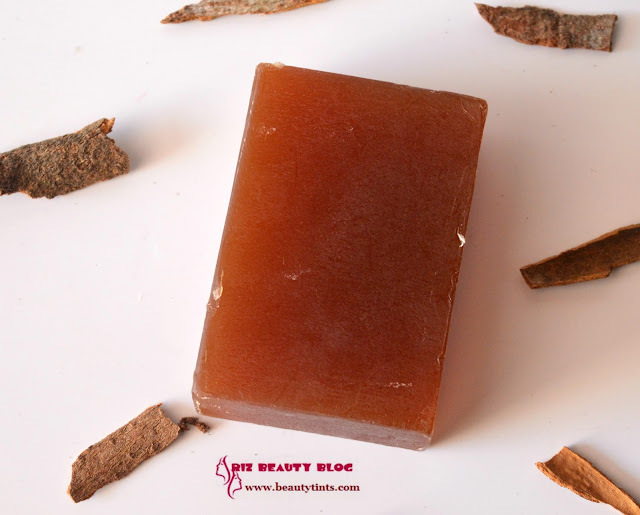 Sriz Beauty Blog: Aster Luxury Bathing Bar Cinnamon Review!!! Today I am back with a review of Cinnamon Bathing Bar from one of my favorite brands Aster.This Cinnamon variant is launched recently and it is very unique soap with very strong spicy notes of cinnamon!!! 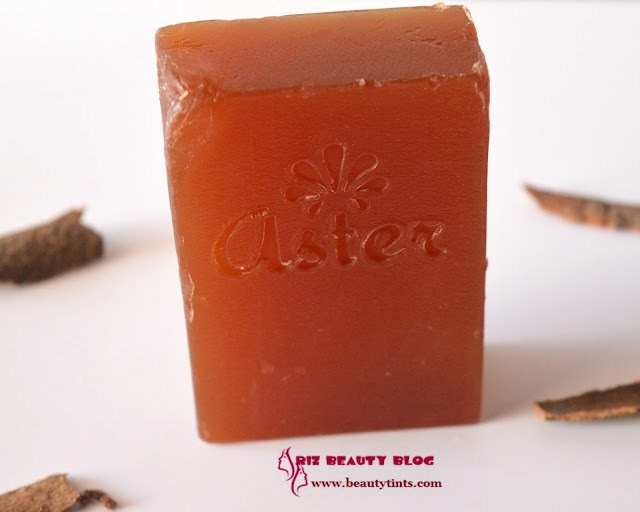 Color and Texture : This is a dark brown colored translucent soap with the brand name imprint on it and has a soft slippery texture. 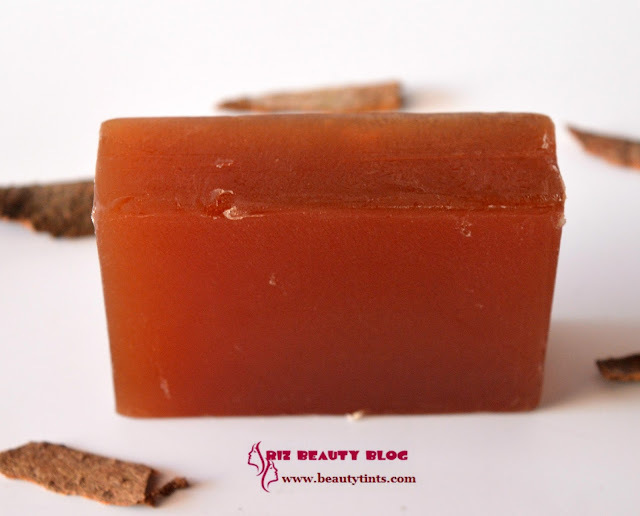 This sweet smelling spicy soap soothes the sense. 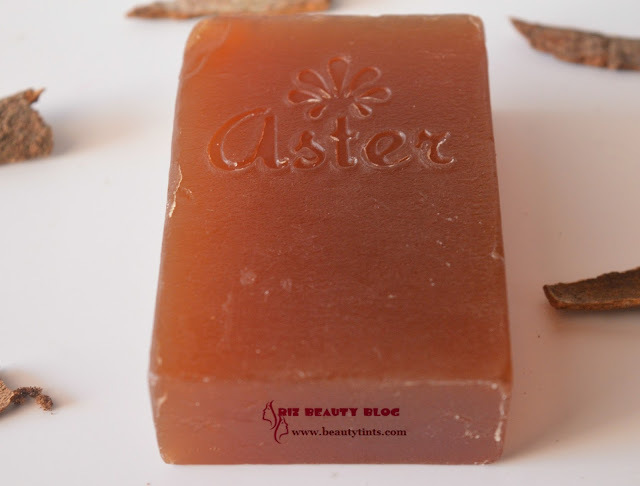 This handmade bath bar has natural antiseptic properties to treat your skin issues effectively. Cinnamon handmade bath bar rejuvenates the skin removing excess oil and opens up skin pores. 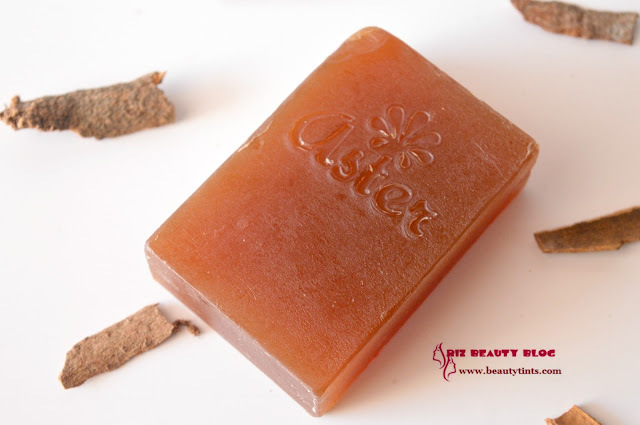 Cinnamon soap moisturises and nourishes the skin and makes it soft, smooth and healthy. 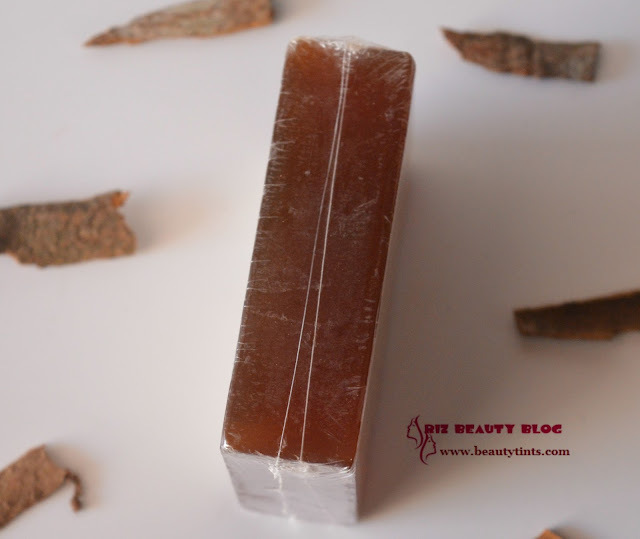 This natural herbal soap treats black heads and improves condition of dull skin. 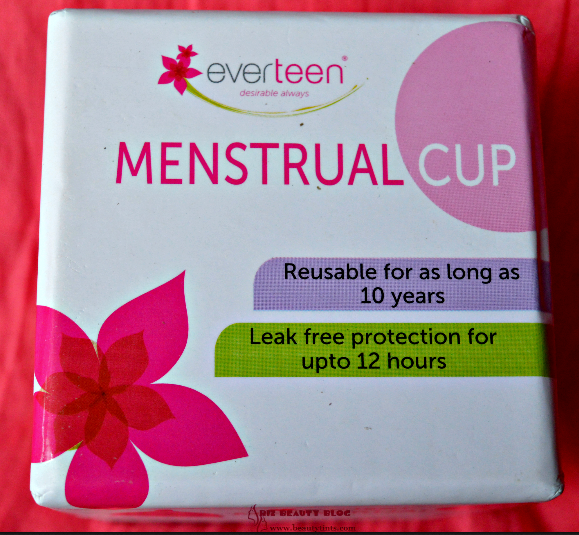 It gently cleanses the dirt and pollutants from the skin. 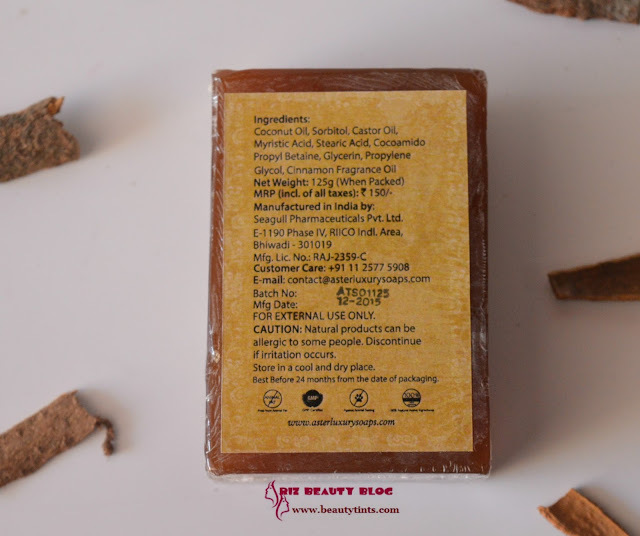 Ingredients : Coconut Oil, Sorbitol, Castor Oil, Myristic Acid, Stearic Acid, Cocoamido Propyl Betaine, Glycerin, Propylene Glycol, Cinnamon Fragrance Oil. 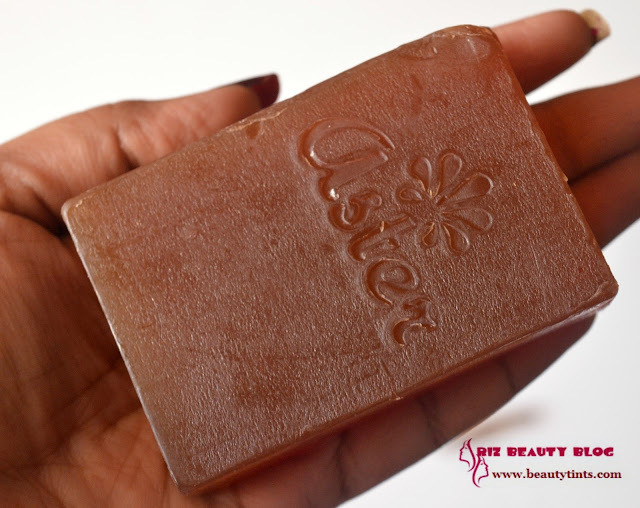 My View On the Product : I love organic soaps as they are completely safe for the skin as well as they are devoid of harmful chemicals that damage our skin.Aster is one of those organic brands that delivers completely natural soaps with out any compromise! 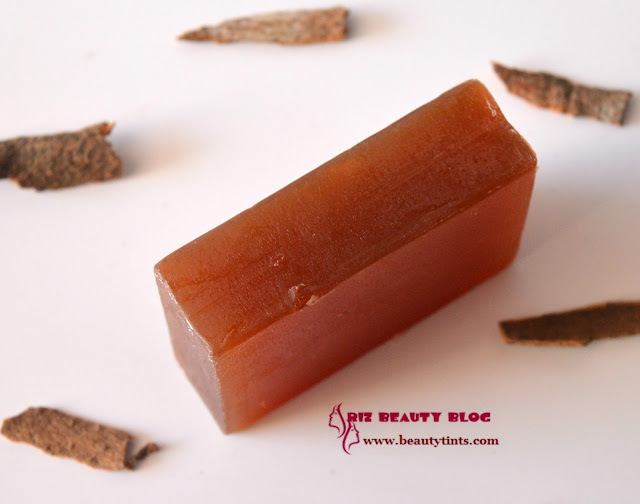 This Cinnamon soap is a dark brown colored translucent one similar to natural cinnamon color.It has a very strong sweet and spicy cinnamon fragrance,which is bit powerful yet soothing!I love to have a shower with this after my tiring Gym session as it refreshes and energizes the mood instantly.It lathers moderately as it doesn't contain any artificial foaming agents but cleanses the skin thoroughly removing all the dirt and grime from deep with in and makes skin squeaky clean.It hydrates the skin thoroughly, with out drying out.It also makes the skin extremely soft and supple.It does not melt easily and retains its shape till the end like all the other variants if little care is taken in drying.It contains the goodness of coconut oil,glycerin and castor oil.The cinnamon has a very powerful anti septic properties,which keeps infections at bay.After using this soap,the acne and rashes on my back started reducing due to the anti bacterial properties of cinnamon.It is free from parabens and other harmful chemicals.It is against animal testing and does not contain animal fat in it.It is quite affordable for the quantity and goodness with which it comes.This cinnamon soap definitely improves skin condition on long term usage!!! 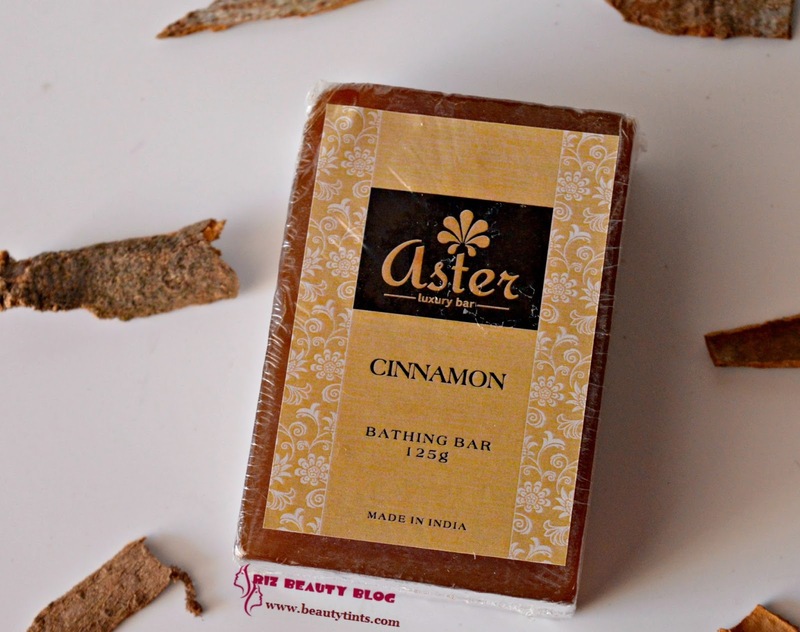 Final Conclusion about Aster Cinnamon Luxury Bathing Bar: Those who are more prone to infections especially in this summer seasons should not miss this wonderful cinnamon soap with powerful anti bacterial properties!!! 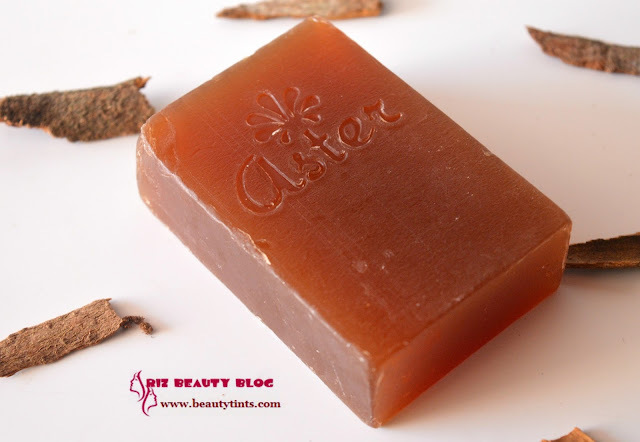 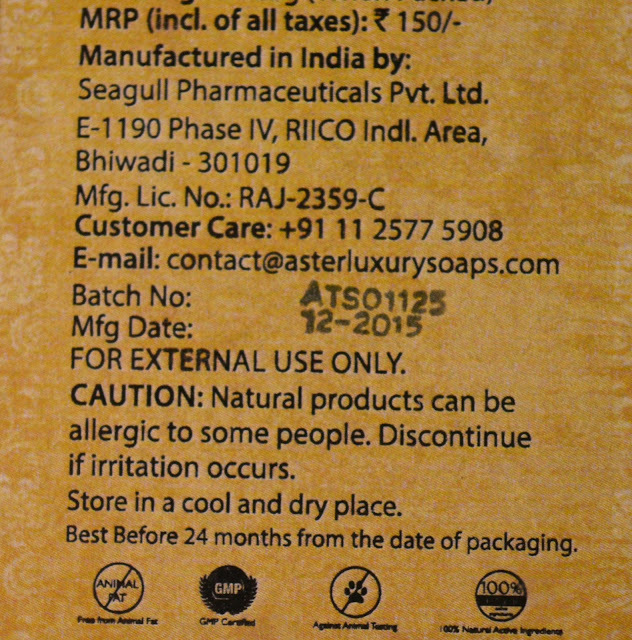 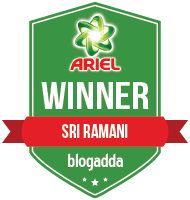 Also check out the reviews of Aster sandalwood soap, Rose soap,Aloe-vera soap, Charcoal, Red wine, Butter Scotch and Coffee soap here.